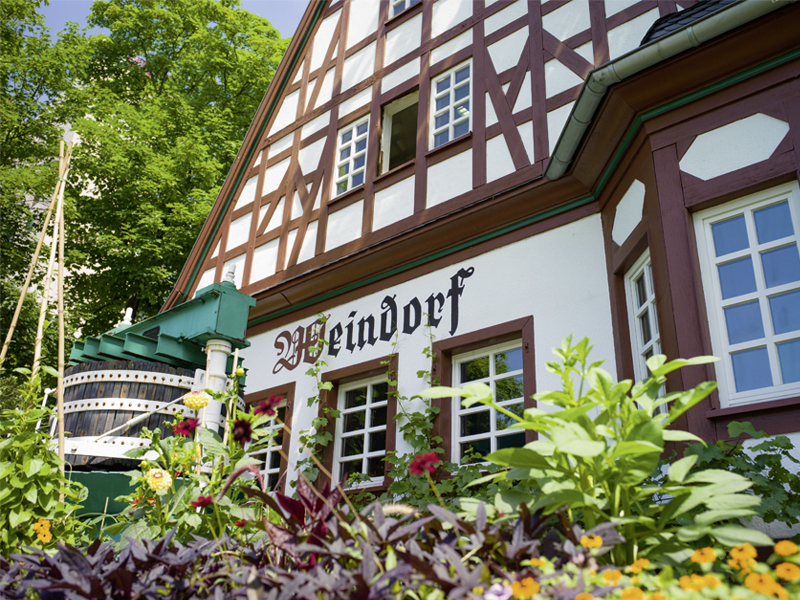 The Weindorf is the result of the “German Wine” Reich Exhibition that took place in Koblenz in 1925. 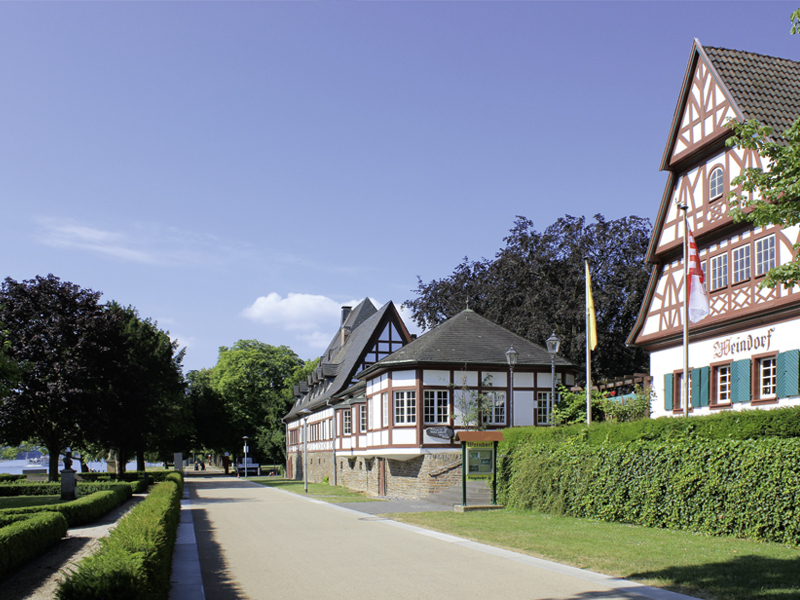 The exhibition was held as part of the celebrations of the 1,000 year anniversary of the Rhineland. Four stylistically different buildings were constructed for the exhibition, each modelled on a typical winegrower’s house from the German wine-growing regions. Here the individual wine producers and wine regions presented their products during the Reich Exhibition. 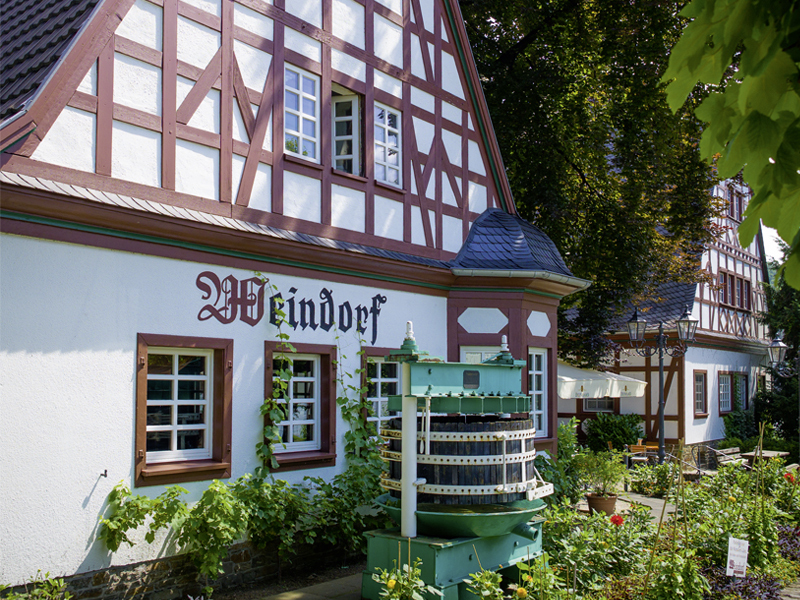 The Weindorf, which had originally only been made for the duration of the exhibition, was soon so beloved that it became a permanent tourist attraction. The Weindorf was destroyed during an air raid in the Second World War and was rebuilt in its current, slightly simplified form in 1951. 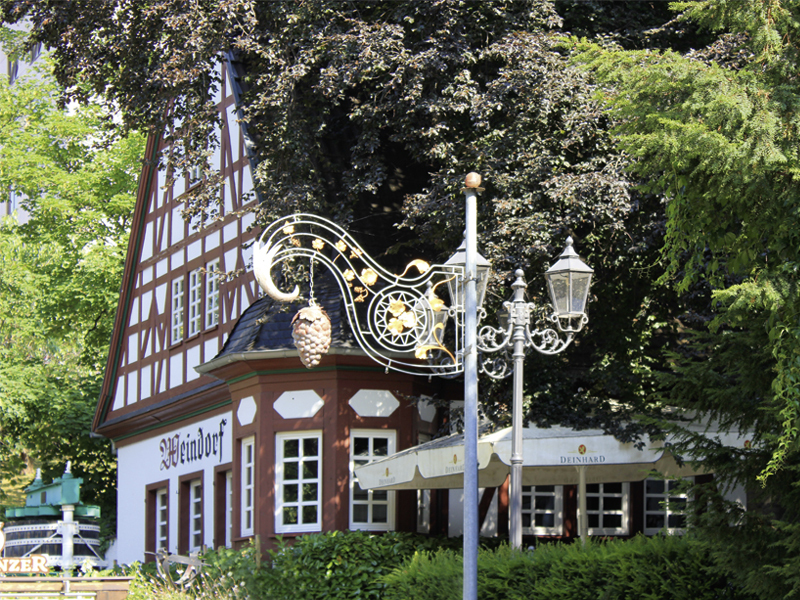 At this time a “miniature vineyard” was constructed behind the Koblenz Weindorf. With just 750 vines on 1,500 square metres, the “Schnorbach Brückstück” is still the smallest registered individual location in all of Germany. Today, the winegrower’s village is dedicated to the catering industry. 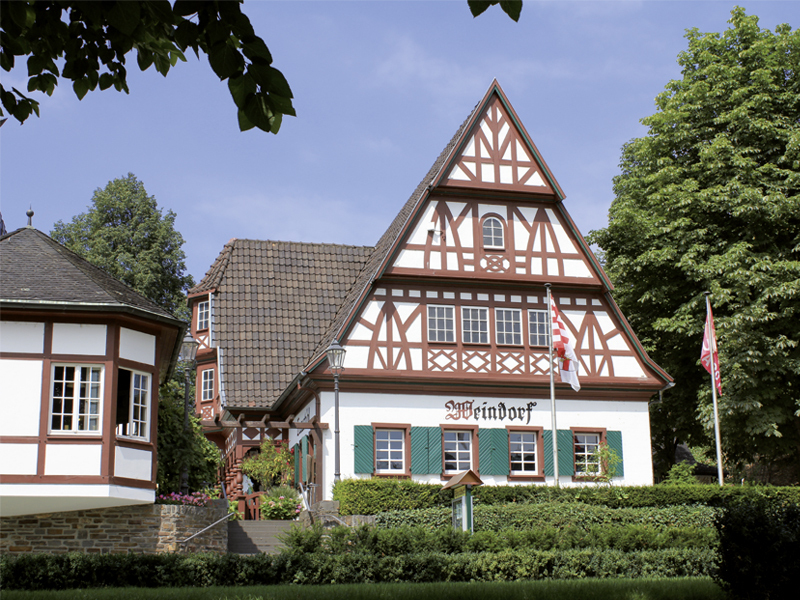 You can have fine dining or even get to know rustic Koblenz traditions in the wine houses.